Create a free account to edit and upload images. Quirky little joint in the heart of AA (which also means no parking)...they pack a lot of stuff in here. A bit cramped for my taste, but fun to go to if you are already loaded. Not a wide selections and too expensive. Well stocked, if small, shop. I found great beers at good prices. Even some hard to find brews. Attendant was more than helpful. Not as big a selection as I expected, but they squeeze in quite a few in the two narrow aisles. Tight quarters don’t encourage browsing. I did pick up a couple beers I had not seen elsewhere. Good selection to look through. Really have to be careful on the age of what you are buying. If it is fresh grab it can’t tell better look for a Belgian or a bottle conditioned beer so it doesn’t matter. 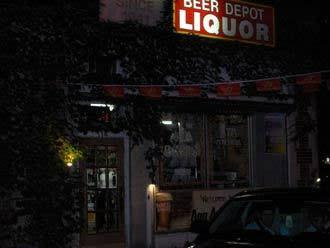 A liquor store with a strong selection and homebrew supplies. Typical liquor store feel with not particularly knowledgable staff. Selection is strong but beers tend to sit on shelves for ever! I would hit other stores in A2. Really solid selection at good prices. No real staff interactions but nothing negative. Looked like an ok homebrew selection as well but I didn’t really investigate. Located a scant 5 minutes from the Michigan campus you’d think they’d mention this place in their recruiting materials except for a couple of things. They have a nice range though it’s confined to a wall and the fridges on the back wall..The space is entirely too cramped. It’s impossible to see what’s on the bottom 2 shelves. They had a nice mix of local and international crafts but I have doubts as to how often the stock is rotated. One of the bottle of Scottish ale had so much crap floating in the bottom you would thought it was yogurt. The selection here is mostly along two walls. One contains a decent selection of local and regional offerings. The other are six packs. In both cases prices seemed fair with maybe a slight markup. The aisles are very narrow which could make moving around tough for more than one person. I did not get a chance to check out some of the other places in town so a direct comparison is hard but I would come back here if I was in the area despite the scarce parking.